Free Shipping Included! 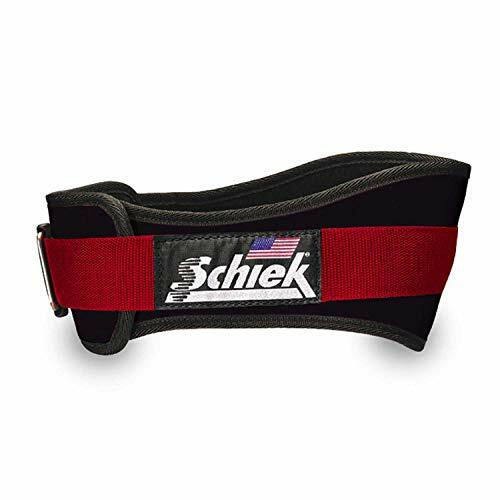 4.75'' Power Contour Belt in Black Size: XL (40'' - 45'') by Schiek Sports, Inc. at Cardio Fitness Plus. SKU: SKS-3004BKXL. MPN: 3004xl. Hurry! Limited time offer. Offer valid only while supplies last. S-3004BKXL Size: XL (40'' - 45'') Features: -Black nylon triple patented power belt. -Patented downward angle fits the natural shape of your back. S-3004BKXL Size: XL (40" - 45") Features: -Black nylon triple patented power belt. -Patented downward angle fits the natural shape of your back. -Patented hip and rib contour for extra comfort. -Patented one-way Velcro for an exact fit. Product Type: -Belts. Size: -X-Small/Small/Medium/Large/X-Large. Dimensions: Size XS (24" - 28") - Overall Width - Side to Side: -28 Inches. Size S (27" - 32") - Overall Width - Side to Side: -32 Inches. Size M (31" - 36") - Overall Width - Side to Side: -36 Inches. Size L (35" - 41") - Overall Width - Side to Side: -41 Inches. If you have any questions about this product by Schiek Sports, Inc., contact us by completing and submitting the form below. If you are looking for a specif part number, please include it with your message.